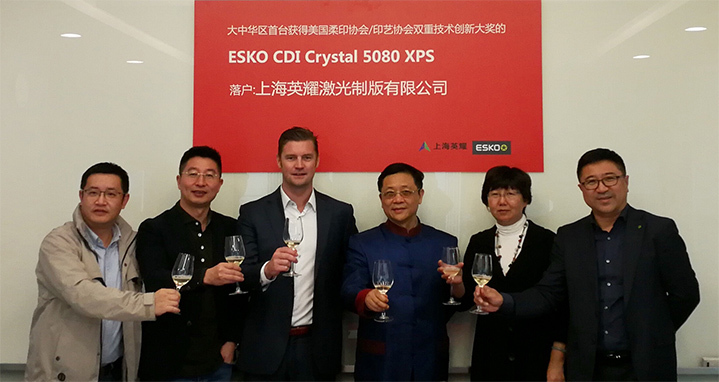 Leading Chinese flexo platemaker Amjet Shanghai, a division of Amjet Group, has again partnered with Esko to install the first CDI Crystal 5080 XPS system in Greater China. The investment in world-class platemaking process technology includes the latest Automation Engine prepress workflow as well as the latest screening technology for flexo printing. It will enable Amjet Shanghai to focus on the highest definition flexo production technology for flexible packaging and labels. With the new solution, Amjet Shanghai, a repeated winner of the FTA Award in the United States, aims to combine greater prepress workflow and the highest quality screening technology to improve efficiency and to enhance the quality of its packaging and printing. The new and unique CDI Crystal XPS is a digitally-controlled exposure unit supporting all photopolymer flexo plates. The combined solution reduces five manual steps in the traditional platemaking process to just one step. The platemaking device integrates with the entire prepress workflow, including Device Manager, to optimally control the output of plates. Plates are placed onto the glass surface, where very accurate back and main exposures - by patented LED UV light technology that allows very precise control - are conducted simultaneously. The consistent light source and nearly concurrent back and main exposure deliver unmatched relief and image consistency combined with perfectly formed flat-top dots. As a result, these plates deliver the highest level of consistency and quality on press. One of the primary factors influencing plate stability is UV exposure. It has also been proven that the shorter the time (dwell) between main exposure and back exposure, the finer the detail, such as highlight dots, tiny linework, and text, can be held on the plate. The CDI Crystal XPS completes these exposures nearly simultaneously, providing the absolute highest quality dot and fine elements. Automation Engine enables a fully-automated platemaking workflow, from ripped files all the way to the exposed plate on the CDI Crystal XPS, without operator intervention. With Device Manager, anyone that needs to know what the status of a job is, can check from the comfort of their desks. Jobs can quickly and easily be placed in queues, and queues can be modified as needed. This automation not only saves valuable operator time, but also time in the platemaking process to help meet customer customer demand. The CDI Crystal and XPS Crystal UV exposure unit was unveiled by Esko at Drupa 2016. 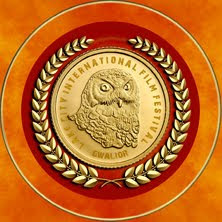 Accolades include the Red Dot Design Award, the Printing Industries of America (PIA) InterTech Technology Award, the American Flexo Association / Graphic Arts Association of Technology Innovation Award and the FlexoTech Innovation Award. Amjet Graphics was formed in 1998 and is a privately-owned high-tech enterprise that focuses on professional flexo prepress packaging design and high-end flexo plate-making. It currently has over 200 specialties including plate-making expertise, color management, digital data processing and packaging design. Amjet Graphics owns Amjet (ShenZhen), Amjet (Shanghai), Amjet (ZhongShan), Amjet (QingDao) and Amjet (XiaMen). 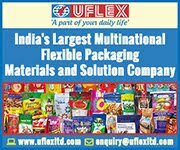 The group has seven CTP production lines and has won many domestic and international awards, including Excellence in Flexography Gold and Silver from from the FTA and 12 DuPont Asian-Pacific GrandPrix Awards. Headquartered in Gent (Belgium) with sales and service organization all over the globe, the Esko product portfolio supports and manages the packaging and print processes for brand owners, retailers, designers, premedia and trade shops, packaging manufacturers, and converters. For 9 out of 10 retail packages, Esko solutions are used in packaging management, asset management, artwork creation, structural design, prepress, 3D visualization, flexo plate making, workflow automation, quality assurance, sample-making, palletization, supply chain collaboration and/or the production of signage and displays. The Esko solutions consist of an extensive suite of software and two hardware product lines: CDI flexo computer-to-plate imagers and exposure units as well as Kongsberg digital cutting systems, complemented with professional services, training and consultancy. 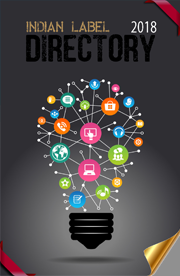 Enfocus, with its suite of automation solutions and PDF quality control tools for printers, publishers, and graphic designers, is an Esko subsidiary. MediaBeacon, with its digital asset management (DAM) solutions is also part of the Esko family.